Can't see the reason it will not work. We made some smaller chorizo and it turned out quite well. BTW, Supiman what starter culture did you use for this? Last edit: 6 years 1 month ago by Jim. Did you use cure #2? Cure 2 is essential for properly dry cured meat weather it be in a natural casing or a Drybag Steak bag. the low temperature environment of smoked meats. It is primarily used in dry-curing Use with products that do not require cooking, smoking, or refrigeration. This cure, which is sodium nitrate, acts like a time release, slowly breaking down into sodium nitrite, then into nitric oxide. This allows you to dry cure products that take much longer to cure. A cure with sodium nitrite would dissipate too quickly. Use 1 oz. of cure for 25 lbs. of meat or 1 level teaspoon of cure for 5 lbs. of meat when mixing with meat. When using a cure in a brine solution, follow a recipe. We are full time RV'rs. 40' 5th wheel. Well, they hung in the kitchen for 72 hours @65F for the fermentation stage (didn't have any humidity controlled space to ferment) and then dried in the fridge. Cure #2 and T-SPX starter culture were used in the Spanish style dry chorizo. Turned out pretty well..... More to follow. Bactoferm™ LHP - Fast: 5.0 pH drop in 2 days) LHP is a freeze-dried culture well suited for all fermented sausages where extra fast acidification is desired. 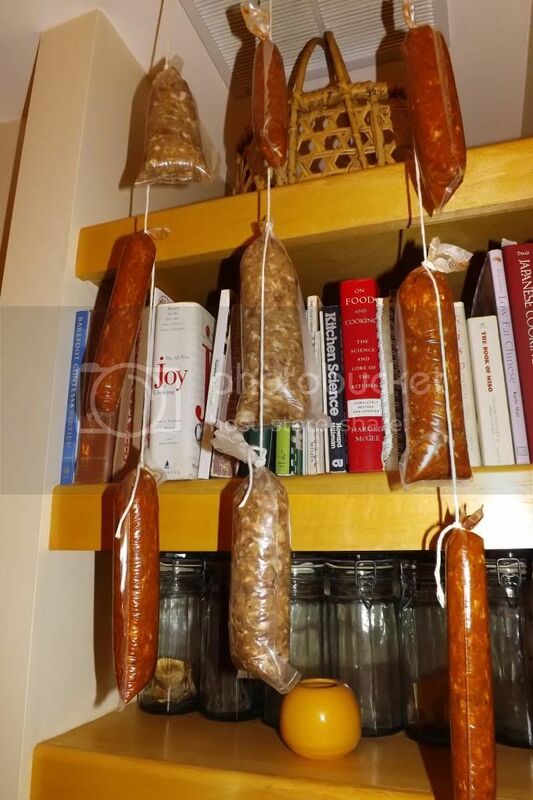 This culture is recommended for the production of fermented, dry sausages with a pronounced sourly flavor note needing about 3 weeks or less to complete.. Each 42-gram packet of LHP will do 500 pounds (225 kilo) of meat. You can use half of the packet in 100 pounds of meat, and refreeze remaining culture. Use at least 1/4 of the packet in any production under 100 pounds of meat. Bactoferm™ F-RM-52 - Medium: 5.0 pH in 4 days) F-RM-52 is a freeze-dried culture well suited for all fermented sausages where a relatively fast acidification is desired. The culture is recommended for the production of North European types of fermented, dry sausages with a sourly flavor note. Each 25-gram packet of Bactoferm™ F-RM-52 will do 220 pounds (100 kilo) of meat. You can use the whole packet in 100 pounds of meat or use half of the packet and refreeze remaining culture. Bactoferm™ T-SPX - Slow - Assists with drying a month or more) Also: Semi Dry Cured T-SPX is a freeze-dried culture well suited for all fermented sausages where a relatively mild acidification is desired. T-SPX is particularly recommended for the production of Southern European type of sausages, low in acidity with an aromatic flavor. 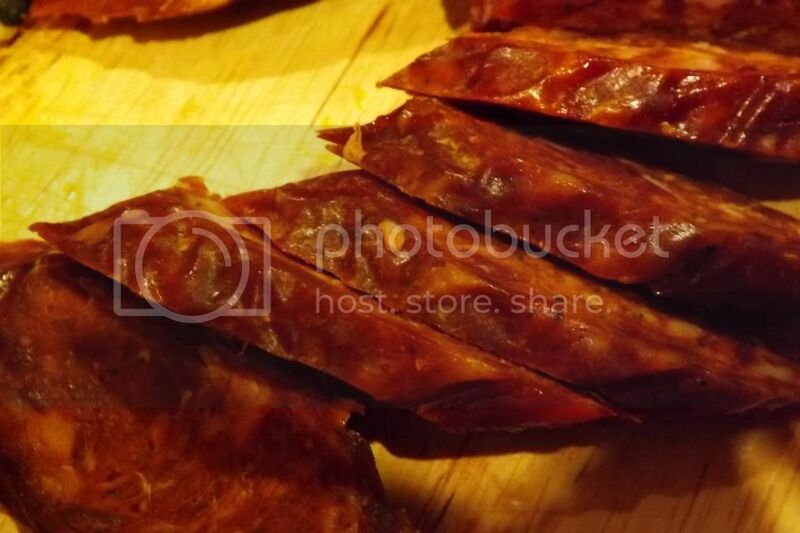 The culture is suitable for molded as well as smoked fermented sausages. (Semi Dry Cured) Each 25-gram packet of Bactoferm™ T-SPX will do 440 pounds (200 kilo) of meat. You can use the whole packet in 100 pounds of meat or use half of the packet and refreeze remaining culture. Use ¼ of a packet in any production under 50 pounds of meat. Bactoferm™ F-LC - Fast, extra fast or slow - Fermentation time is temperature dependent – With added Listeria protection F-LC meat culture with bioprotective properties for production of fermented sausages with fast or slow production times. F-LC is recommended for the production of all types of fermented sausages. Depending on fermentation temperature, acidification is slow, fast or extra fast. Can be used for slow, traditional fermentation when environment is near 80F and will also rapidly acidify in high fermentation (US Style) temperatures of near 115 F. F-LC is a mixed culture containing Pediococcus acidilactici, Lactobacillus curvatus and Staphylococcus xylosus. P. acidilactici ensures reliable acidification whereas S. xylosus results in strong flavor development and a good, stable color. Due to bacteriocin production both L. curvatus and P. acidilactici contribute to suppressing growth of Listeria monocytogenes. Each 25-gram packet of Bactoferm™ F-LC will treat 220 pounds (100 kilo) of meat. You can use the whole packet in 100 pounds of meat or use half of the packet and refreeze remaining culture. Use ¼ of a packet in any production under 50 pounds of meat.